It was such a wonderful experience, the spirit was so strong and everyone felt it. Monty, Deedee, and Seth all shared their testimony of the wonderful truth of this gospel. They witnessed of the divinity of this work and the truth that Joseph smith was called by God to be a prophet. Then Sunday came and he was able to get the gift of the Holy Ghost through the priesthood. 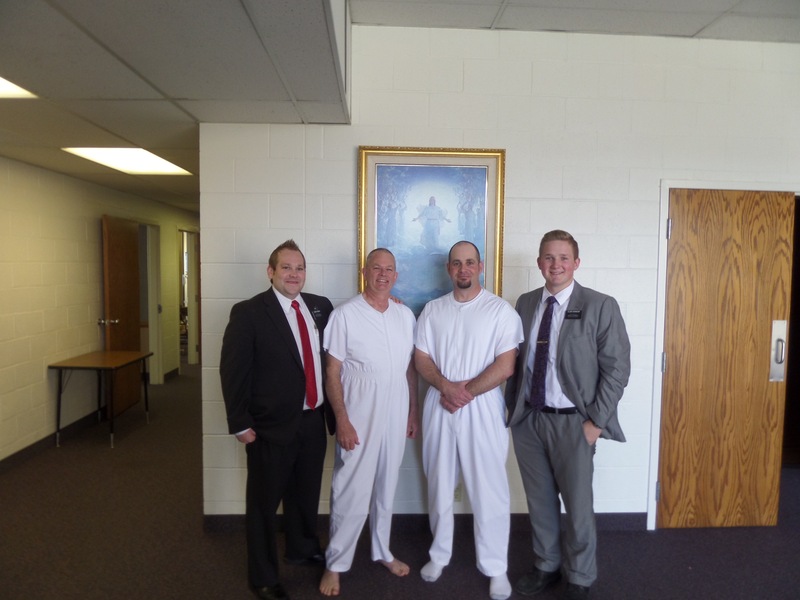 Then just a short 3 hours later he was given the priesthood himself and he asked me to do it. What a wonderful blessing it is to be able to hold such a wonderful gift in this life. God has brought the priesthood to the earth to bless his children and to build his kingdom, and it is such a blessing to know that it will never be taken away again. So know that He has been baptized, has received the Holy Ghost, and received the Priesthood Monty and Deedee, and Brian and Katy are going to be going to the temple this Friday to do baptisms for the dead; best of all they are taking names from their own families. WHAT!! They are just on fire with the Spirit that they have let come into their lives and change them. They are truly letting God change their very natures and become better. Deedee has decided at her work that she was going to start every day off with prayer and now everyone in the office gathers to start off with prayer in the morning. #prayerbringsblessings Not surprising at all that everyone in the office is starting to comment that work is dramatically improving sense that started to happen. God wants to play a rule in our lives and not just on Sundays. He wants to help us in our jobs and in school. He wants to helps us raise our families or to make new friends. He truly wants to be in every aspect of our lives, and the more that we let him do that the more blessings we can receive. God can help with any part of our lives and it is up to us if we let Him. Spring is in full effect right now we have Spring blossoms everywhere, and spring showers are here. We had Zone Conference this week. Such a great experience to be able to hear from the mission president and the APs and to be able to learn so much through the spirit. That is the source by which true knowledge from Heaven is learned. It is only by the spirit that you are taught pure celestial truth. I love you all so much thank you for every thing that you do. PS the pictures are the baptism and also at zone conference we took our 100+ pic with the mission president. the 100+ club is the four of us missionaries in the picture have over 100 years of life together. Basically we are all over 26 haha we are an elite group, and the four of us are in just 2 zones. oh ya. 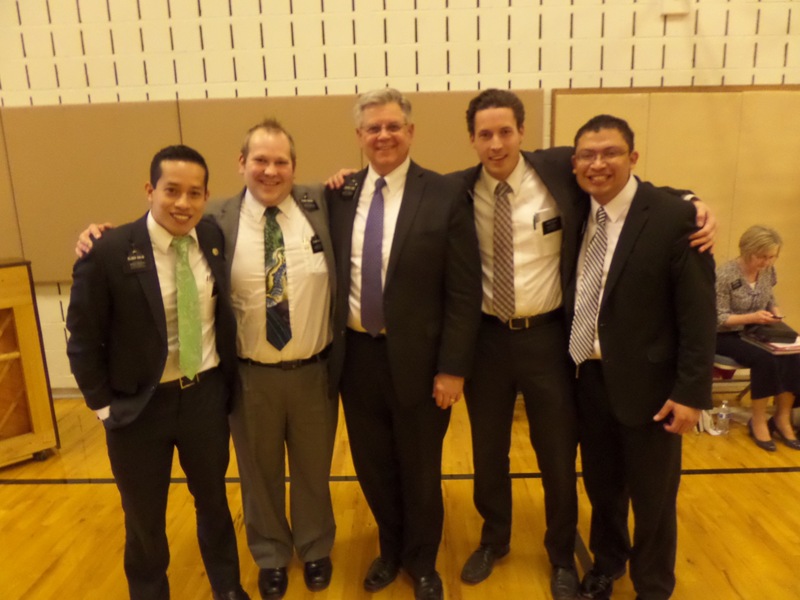 This entry was posted in Steven and tagged #LetHimIn, #praybringsblessings, Baptisms, Blessings, kennewick washington, priesthood by shalesecordon9. Bookmark the permalink.